President Pranab Mukherjee on Monday while taking a special class at government school appeared to Support the Idea by Prime Minister Narendra Modi on Simultaneous national and state elections in India. 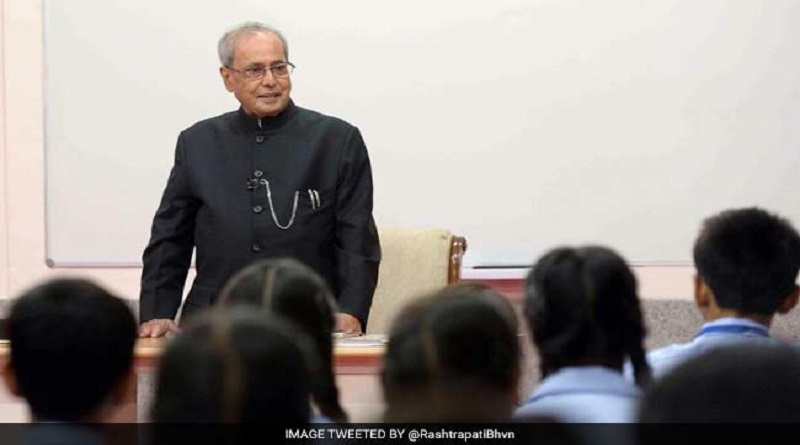 Pranab Mukherjee visited Rajendra Prasad Sarvodaya Vidyalaya on teacher’s day where he shared his views on PM Modi’s Idea of holding elections at the same time. Mr. Mukherjee had also shared a strong message on terrorism. He said, “We certainly face attacks but from cross-border terrorism. The success of our governance and administration lies in ensuring the homegrown terrorism, which is the world’s biggest menace today; is not yet there in India”. PM Modi in a meeting in March said that the proposal would cut down the huge cost of holding elections each year. The election commission estimates that Lok Sabha and state polls cost around Rs. 4,500 crores in 2004.